Keeps bugs out of your home, while allowing the breeze in! 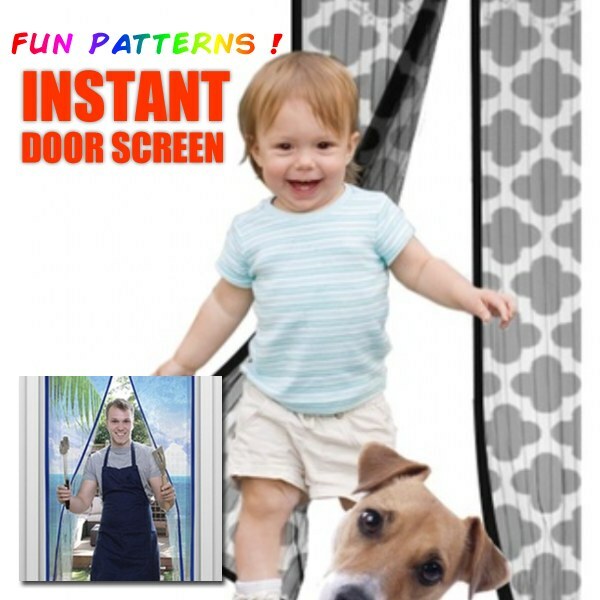 Keep the bugs out from your own house by using this super magnetic mesh door. They open and close with ease automatically using 18 powerful magnets. No tools required for installation. It provides cleaner air without the insects and bugs all season long. Fits single doors, sliding doors, RVS, and more. 12 hook and loop strips, and 20 thumb tacks. Panel Dimensions: 20" x 83"